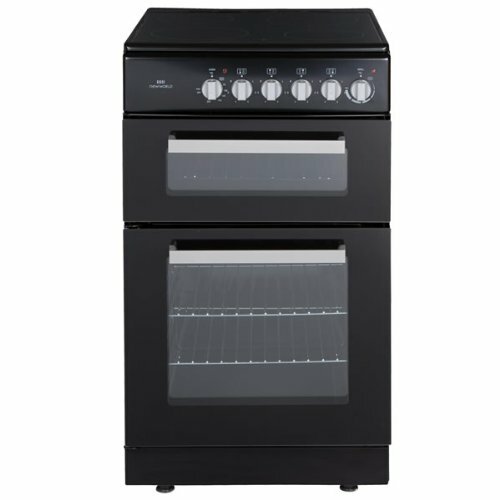 The New World ETC50B Electric Cooker is a great, stylish yet practical addition to any home. With a double oven there is always enough room to cook all of your family's food. Both ovens are conventional electric ovens. A conventional oven works on the principle that heat rises. It is hotter at the top than at the bottom - ideal for cooking different dishes simultaneously. The top cavity also contains an electric grill for an alternative cooking method. There is also a solid plate hob all of different sizes for different pans and heat intensities. 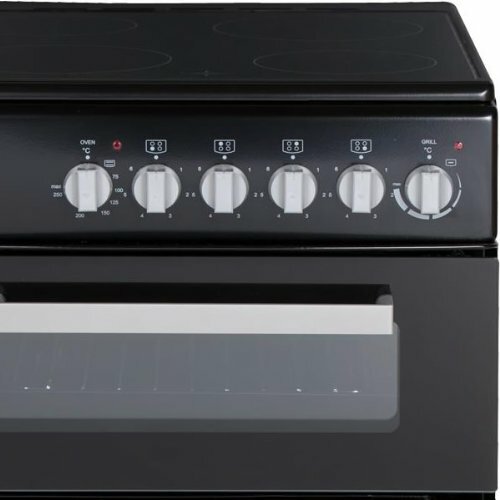 The New World ETC50B Electric Cooker also has an A Energy rating, which means it will be kind to the environment and keep your energy bills down.